I'm really excited to have Danielle Teller stopping by the blog today to discuss her inspiration behind her debut novel, All the Ever Afters, her retelling of Cinderella. Can you tell us a little about All the Ever Afters? What kind of a retelling of Cinderella is it? All the Ever Afters is the life story of Cinderella's stepmother beginning from when she is ten years old; it takes place in a medieval setting. The characters are realistically complex, and the events in the fairy tale have real-world explanations. Why Cinderella? What drew you to this fairy tale? And what inspired you to retell it? When I became a stepmother, I realized that the stepmother-stepchild relationship comes with built-in challenges. It can be hard for a child to accept new rules and a new parenting style from a stranger, and the situation is made worse when the child feels in competition with the stepmother for his or her father's attention. On the stepmother's side, the challenges of parenting aren't softened by the sort of instant, automatic love associated with the birth of a child. I thought about the terrible way stepmothers are portrayed in fairy tales and wondered, "What if it was all just a misunderstanding between flawed but well-meaning people in a difficult situation?" Cinderella's stepmother is the most iconic evil stepmother, so that's why I was drawn to her particular story. What do you bring to the Cinderella story with All the Ever Afters? All the Ever Afters offers a perspective from which all of the characters in the fairy tale are relatable people. It turns a battle between good and evil into recognizable struggles we all have within ourselves and within our families. How does All the Ever Afters differ from other retellings of Cinderella out there? Most Cinderella retellings are meant to deliver the same fun as the original fairy tale, where the reader can feel great about hating the villain(s) and know exactly what outcome to root for. All the Ever Afters has the pleasures of a rags-to- riches story, but it is meant to challenge the reader's preconceptions about good and evil, and it is centered more around mother-daughter love than romantic love. The trickiest part was making the stepmother a sympathetic character while showing how others might view her as "evil." If I made her a good stepmother, the story would fall apart, but if I made her too nasty, readers would stop caring about her. The nice thing about using a fairy tale as scaffolding for the novel is that certain plot points were pre-written for me. It gave me a sense of direction during the scary early phase, when I was staring at a blank page. What do you hope readers get from All the Ever Afters? I hope that readers will be reminded that people are not always what they seem to be on the surface. Sometimes it's easier to categorize people as "good" or "bad" than to make the effort to really understand them, but the world would be a far better place if we all tried a little harder to understand one another. Retellings come in a lot of different flavors—some draw us deeper into the original tale, some give us a new perspective, some function as prequels or sequels—but all of the good ones build meaningfully on the original, adding new dimensions. A good retelling should not negate the original but expand it. 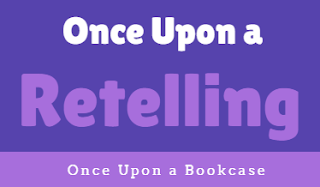 Are there any retellings you would recommend, either of Cinderella, or in general? I love the new novel Circe by Madeline Miller, about the goddess Circe, most famous for bewitching Odysseus's men in Homer's Odyssey. It has all the magic of the original myths, but told from a thoughtful female perspective. Wicked by Gregory Maguire is a classic, giving the Wicked Witch of the West a fascinating backstory. The worldbuilding is phenomenal; though Maguire didn't create Oz, he truly brought it to life. For those looking for a lighter read, I would recommend The Goose Girl by Shannon Hale. It is a sweet, charming story that delivers all of the most delectable aspects of a fairy tale—evil villains, a plucky heroine, romance, high adventures and, of course, conversations with animals. Thank you, Danielle, for such a great interview! I am so intrigued by All the Ever Afters, and reading from the step-mother's perspective! It sounds like it will be such a facsinating read! Be sure to visit Danielle's website, and check out All the Ever Afters, which is published on 22nd May. Lyrically told, emotionally evocative, and brilliantly perceptive, All the Ever Afters explores the hidden complexities that lie beneath classic tales of good and evil, all the while showing us that how we confront adversity reveals a more profound, and ultimately more important, truth than the ideal of "happily ever after." From Goodreads.